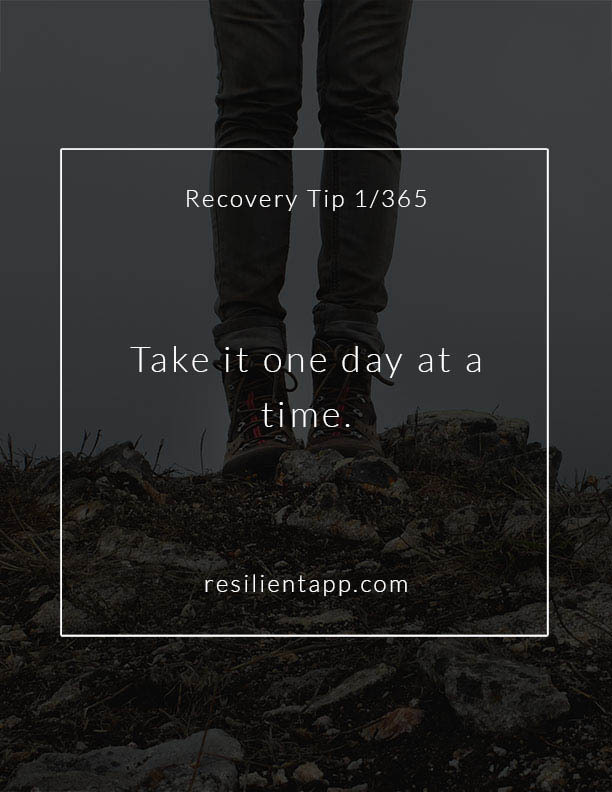 Get inspiration every day with our full collection of 365 Recovery Tips. 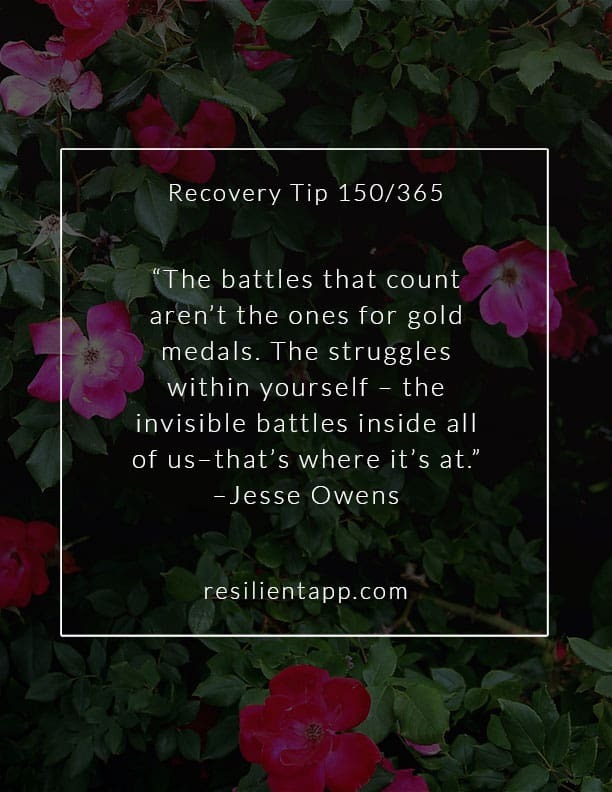 365 Recovery Tips is a daily inspirational image project I created a few years ago for Resilient on social media. 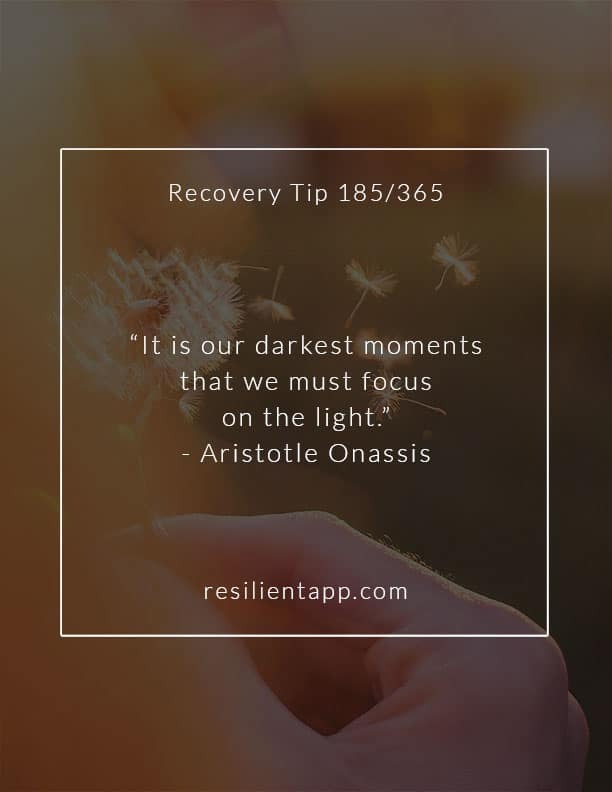 Every day I would post a new tip or quote on social media in the same style of Recovery Tip format. Now you can get the full collection in an ebook with all the images on separate pages (over 365 pages in all!). Whether you want to read one tip a day for a year of inspiration, read them all at once, or pick a random number to get inspired for the day, these Recovery Tips combine life advice with encouragement and inspirational quotes from famous leaders, achievers, creators, and people who have overcome adversity. 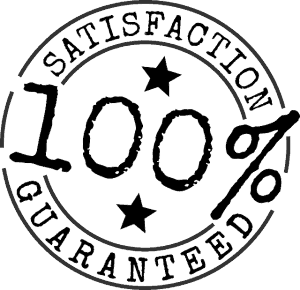 Most of the tips are quotes. Grab the full collection of our 365 different Recovery Tips in this ebook that compiles all the image tips into one PDF file.